In the 80s, viewers of television had very little options and most of the programmes and serials they had to watch only on Doordarshan. And among some of the serials that grew very popular were Dil Dariya, Fauji and Circus. There were many actors who made it quite big with these serials, but the one young man who reached and touched the hearts of millions was an actor called Shah Rukh Khan. It was a strange phenomenon, but viewers waited to see this young actor perform and were carried away by his natural acting prowess and he was happy being what he was and had not even dreamt of making it in Hindi films, even though he was a fan of films and admired Dilip Kumar. It was Hema Malini, who joined the millions of his admirers, but she went one step ahead and asked him to come to Bombay as she had plans for him. The young actor took a chance and arrived at the Santacruz airport without knowing why he had really landed there and where he would go from there. The first thing he needed was a place to live in and it was the veteran actor Viveck Vaswani, one of the actors in the serials the young actor worked in. He had a huge apartment in Colaba where he gave the young actor a place to live in and to take his advice on how to go ahead. Hema Malini lived up to her plan and called the boy from Delhi and did an audition with him and had made up her mind even before the audition could end. He would be the romantic hero in her first film as a director, Dil Aashna Hai. She only had problems with his hair and tried combing his hair for him and it was that moment which made the young actor decide that he would not go back a defeated man and it would be jeena yaha marna yaha for him. He worked in Dil Aashna Hai and was appreciated but he had still a long way to go. Filmmakers had seen that something special about him but were not sure about what role to cast him in. This state of confusion made filmmakers sign him for films like King Uncle directed by Rakesh Roshan, Kabhi Ha Kabhi Na directed by the late Kundan Shah who also made Jaane Bhi Do Yaaro. He was recognised as an actor but there was still a certain hesitation about casting him in the role of the typical romantic hero of mainstream Hindi cinema. 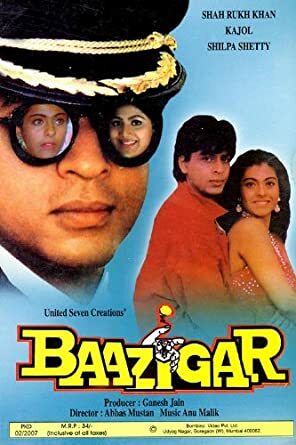 The young actor was also not sure which way his career was going and it was in this state of mind that he accepted the role of the evil as evil man in Baazigar directed by Abbas Mustan. He was so good as the bad man that he not only won all the major awards of that year, but also received other offers to play the bad man and he grabbed all the best offers believing that if he had to be a part of the race, he would have to try to be the best in every genre of role. He was again at his best as the bad man in films like Deewana which is considered to be his debut film, Anjaam with Madhuri Dixit and the ultimate, Darr in which he was the very epitome of darr (fear). There was a certain fear within him about his being typed as the villain, but the boy from Delhi had also brought luck with him. He had made friends with some young filmmakers like Aditya Chopra and Karan Johar. The first one offered him an out and out romantic film, Dilwale Dulhaniya Le Jaayenge and Karan, followed it with Kuch Kuch Hota Hai. 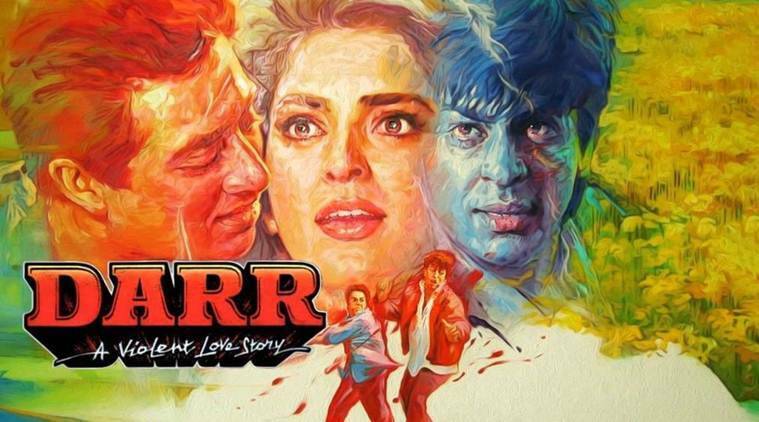 The romantic hero had taken a new birth in Hindi films and the boy from Delhi had become Shah Rukh Khan, “The King of Romance” and he has been the king for the last 25 years. 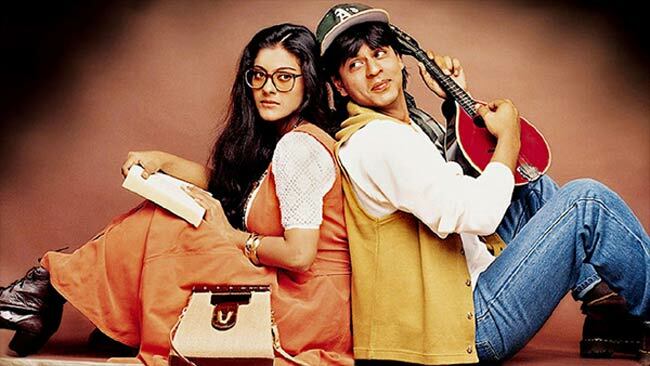 In fact, DDLJ is still running at the Maratha Mandir in Mumbai which is an all-time record. 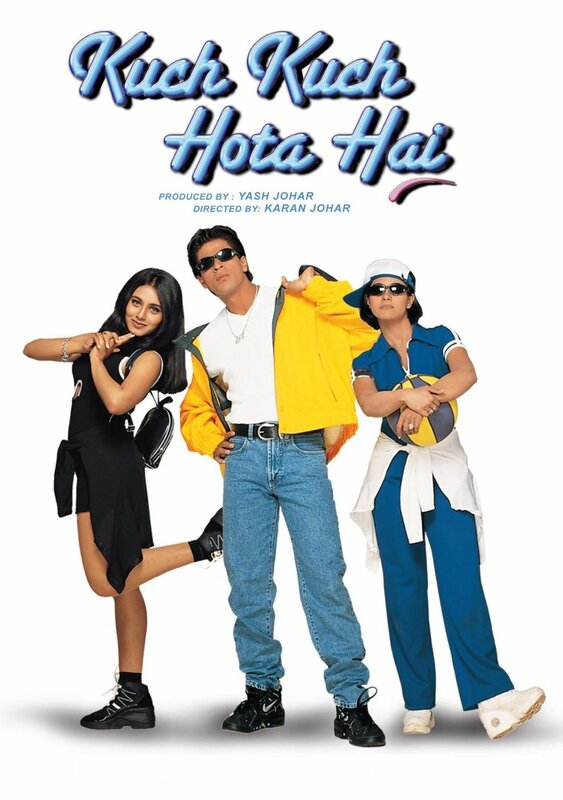 Between DDLJ and KKHH, the king of romance has played every kind of role as a hero, from the romantic young man of today, to Devdas and Asoka among others. He got married to his first girlfriend, Gauri and they shifted to Bombay for good. SRK always had a faithful and dedicated staff working for him sharing his passion all through. He started with Kabir who was considered a lucky mascot because he was the chauffeur of actors like Rajesh Khanna and Mithun Chakraborty and had seen them and even guided them on their way to superstardom, but had lost his mind because of the success of the men he worked for. 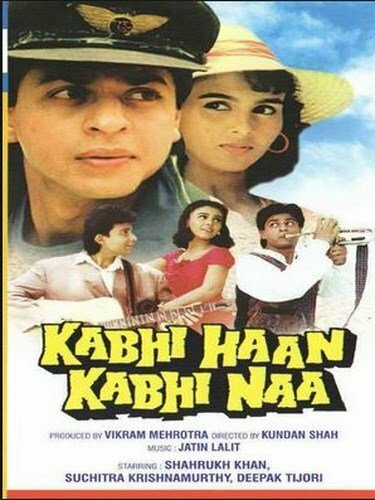 A time came when he gave advise to the young man now better known as SRK and this ultimately proved to be his undoing and he was not only out of the career of SRK, but was out of the industry and when last seen, he was found drunk in a BEST bus and in dirty clothes asking people for money to buy himself some desi tharra. It was the same condition in which Rajesh Khanna’s right hand man, V. K Sharma was found after he fell out with the then superstar. SRK had bought his first car, a red Pajero and he had a very efficient secretary in Anwar Khan whose only weakness was alcohol and who died young because of an excessive abuse of alcohol. He then had a secretary in Ms. Karuna Badwal who is now the general manager and the power behind the empire created by Badshah Khan. He had changed many houses in and around Bandra, but it was when he became a superstar that Yash Chopra, who he considered his mentor, saw an old Parsi bungalow at Bandstand in Bandra and asked SRK to buy it and SRK bought it and changed it to “Mannat” which is a place of pilgrimage for thousands every day and for lakhs on his birthday. More than 30 years ago, a young man had stood outside the Lucky Hotel in Bandra, looked up at the sky and screamed with excitement and said, “I will touch you or even challenge you one day”. At another time he is said to have spoken to Mumbai and told her that he would be her favourite son one day. All that he had dreamt of has come true today as the man who came here as a big 0 is all excited about the most expensive film he has made and the most challenging role he has played in Zero and once again zero is the beginning of a new beginning for the boy from Delhi who is an undisputed Badshah today.